At Northwell Health, we can be Truly Ourselves. Happy National Coming Out Day! On October 11th, Northwell Health employees are celebrating National Coming Out Day with our LGBT community members, allies, patients and the members of our Expressions BERG. At Northwell Health, we’re always striving to create an accepting culture where we can all be Truly Ourselves. This National Coming Out Day, Northwell is taking the pledge to #WearTheRibbon. This one-day campaign encourages employees to take a stand against the discrimination, violence, harassment, and bullying of LGBT people by showing support for safe spaces where they LIVE, LEARN, WORK, PLAY, and PRAY. Expressions BERG members and allies are signing this pledge and wearing a rainbow ribbon at work to visually “come out” in support of safe spaces for LGBT individuals. This pledge is just one way that Northwell encourages employees to achieve their full potential and supports a safe and inclusive working environment and. 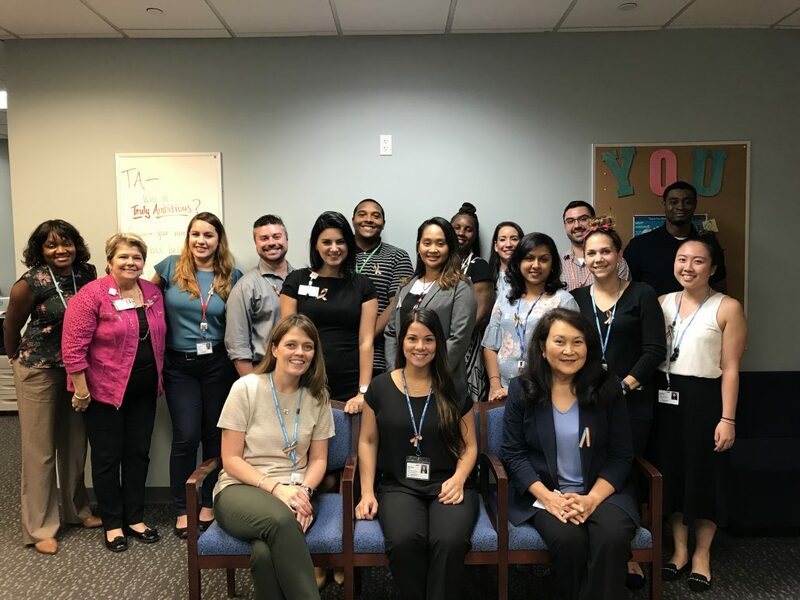 The Business Employee Resource Group (BERG) program at Northwell Health helps our patients by elevating diverse voices so we can better serve our diverse population. It also helps our staff, so they can find and engage with the specific communities that understand their experiences and ensure representation of their perspective and experience. This culture of acceptance creates a safe space for BERG’s like Expressions to thrive. Learn more about other BERG’s at Northwell Health here. Join us and find the support you’re Made for.